Real estate agents do the hassle for us. They search for a suitable house for their clients, according to their requirements, and charge a minor fee for doing so. 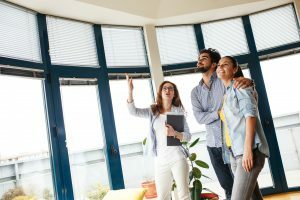 People looking to rent out their property will contact a real estate agent who then provides the details to their customers. Real estate agents know the real estate market of the area and, once a customer decides the place that will suit them best, the agent shows it to them physically to make sure they meet the customer’s specifications. Agents dealing in properties have an idea of the schools, utility charges, public transportation, and other concerns related to the area that the customer is looking forward to buying or renting in. People who are renting out or selling their property will list their house with a real estate agent. If the house is leased or bought within a given time, the agents are paid a commission price. These agents advertise the houses on the list. The commission earned by these agents depends on the price of the household. It is best advised to choose a single real estate agent if the customer is comfortable in dealing with them. These agents usually specialize in dealing in specific areas. It is preferred that you seek agents in that particular area. Real estate agents help those looking to rent in various ways. They not only look forward to meeting their client’s requirements to the maximum but also helping them find a suitable and affordable residence in the desired area of their customer. Real estate agents act as powerful assets when negotiations have to be done with property owners. They sort through details including the state laws, conditions of the market, and details required to qualify as a renter. Pay the agent their desired fee and they will make your home searching much more fun and easy, alongside providing you a wide range of options to choose from. Let them do the work for you, just keep your eyes and ears open at all times, and enjoy your new home!